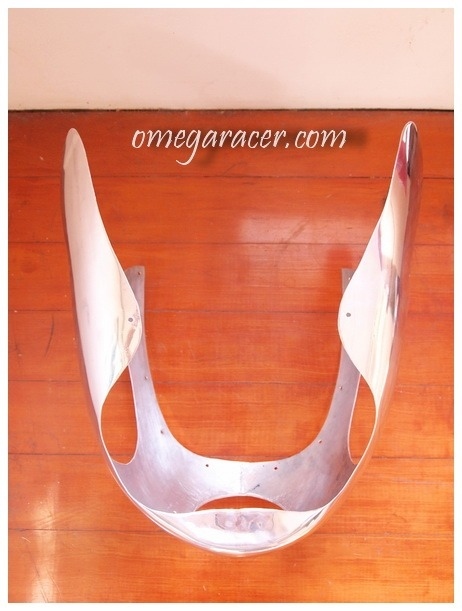 A universal high quality, hand crafted, cafe racer style aluminium fairing. It fits a wide range of bikes however, modifications to the supporting frame may be necessary. Please contact us if you have any questions regarding the fitment to a specific bike. 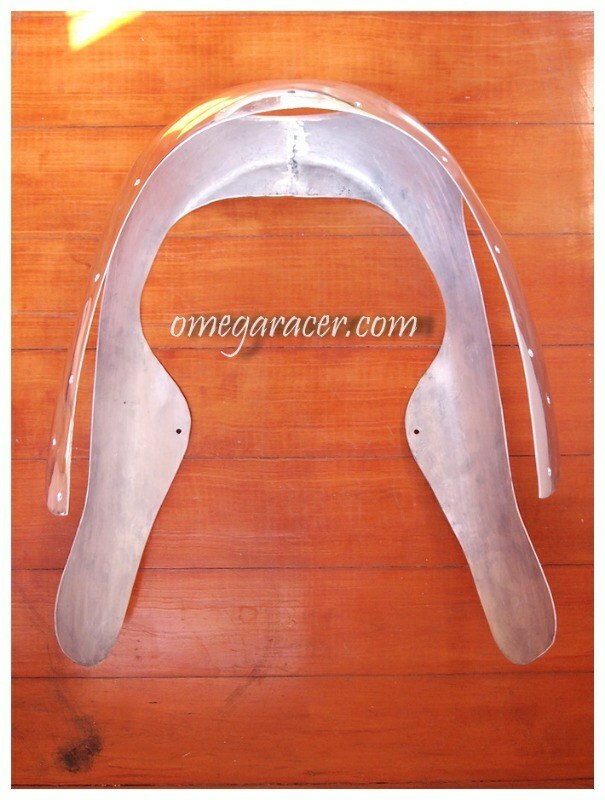 The design follows the famous fairing of the iconic Ducati 900SS from the late 70s. The craftsmanship on this is superb, and the finished article really looks fantastic. 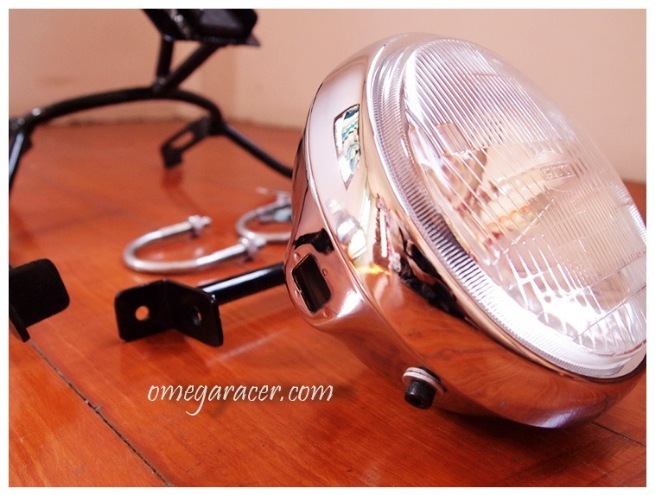 The cutout diameter for the headlight is 16cm, but can change the size upon request in case you prefer to use your own headlight. Please note: The headlight, plexiglass windscreen, hardware and all necessary mounting brackets are included. The brackets are now made of stainless steel and are not painted black. 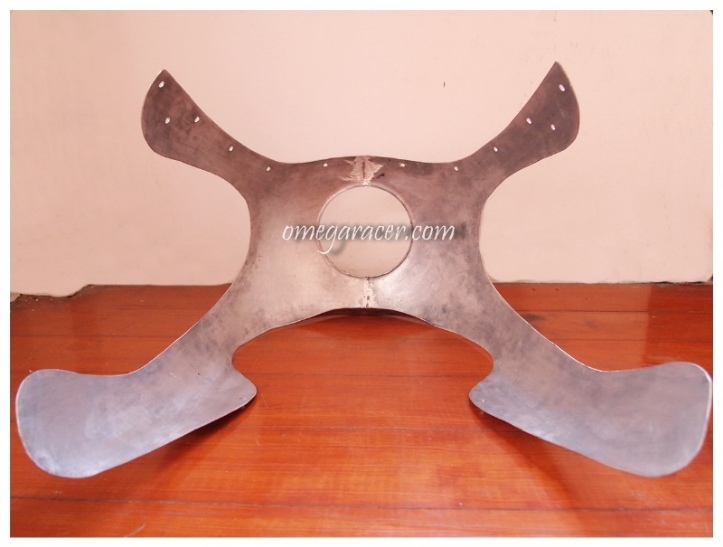 This fairing is made to order with a production time between 2 to 3 weeks. 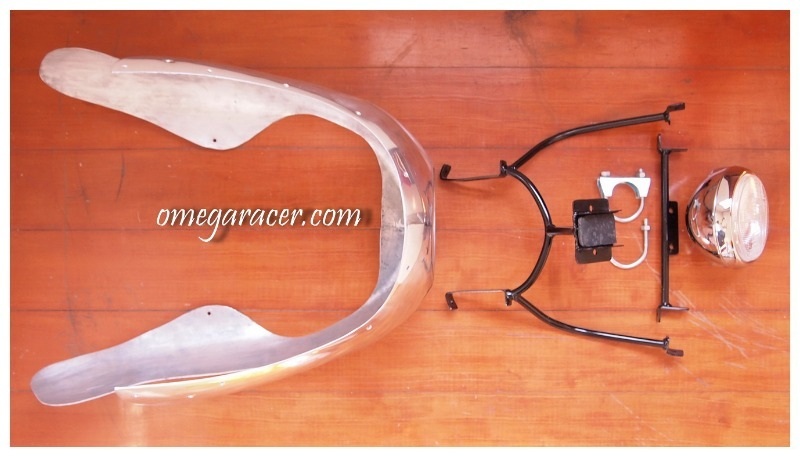 The large fairing came well protected and with a well made bracket as well as mounting hardware that made installation quite simple. The polish on the fairing was so perfect I had to go back and re-polish my tank and tail to make them not seem so dull! Also the price was awesome for such great work.